SharePoint users can now use SEAL Systems’ popular, high-performance Conversion Server. Features are available for ad hoc conversions within their SharePoint libraries. 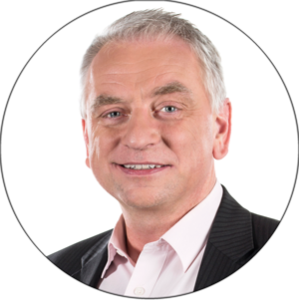 We offer the relevant workflow actions and event receivers to trigger workflows. For whom is this beneficial? 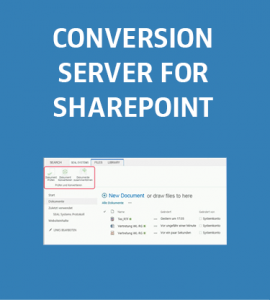 SharePoint users need the SharePoint integration of Conversion Server to be able to carry out SharePoint interactive conversions of their documents within their work environments. Teamsite owners have made a uniform and centralized conversion engine available for all users and libraries. For farm administrators this brings additional benefits within their farms. How does SharePoint Conversion Suite work? The actual conversion server in SEAL Systems’ technology is found outside the SharePoint server. Therefore the SharePoint farm is only minimally burdened by these additional features. The new features are supplied by the farm administrator within SharePoint. Teamsite owners can configure and make these features available for their users’ libraries. Users utilize SEAL Systems’ conversion server after selecting the documents in their libraries by using the corresponding buttons. Users can parameterize conversion process in the framework of existing options. The process monitoring of conversion workflows can take place directly through key users and — when permitted — through other users as well. You’ll find more information in our factsheet on this topic.